Place chicken in bottom of ungreased 13 x 9-inch baking dish. 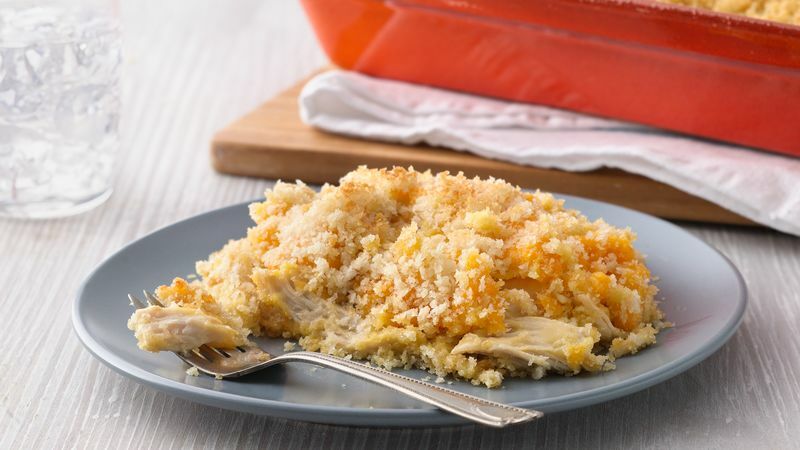 Spoon soup evenly over chicken and top with shredded cheese. In medium bowl stir together melted butter and breadcrumbs. Sprinkle over baking dish. Bake 35 to 40 minutes or until bubbly. Can substitute cooked turkey for the chicken.